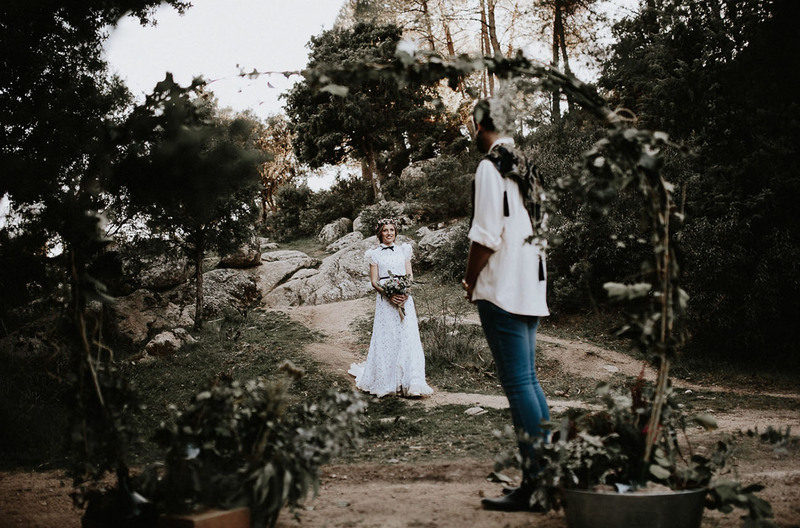 Sara + Gonzalo were immediately drawn to the idea of eloping: a no fuss kind of wedding, a day just about their love, somewhere in nature, and anything but conventional. 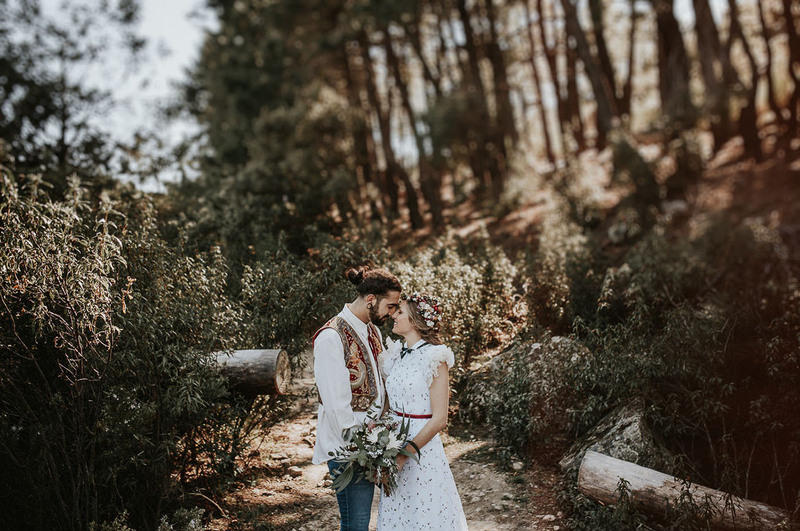 So the two of them, plus their photographer, Prisma Blanco, set out to the woods of Madrid for an intimate + folksy-inspired ceremony. Prisma Blanco tells us They wanted to marry in the most intimate way, just the two of them alone in their closeness. 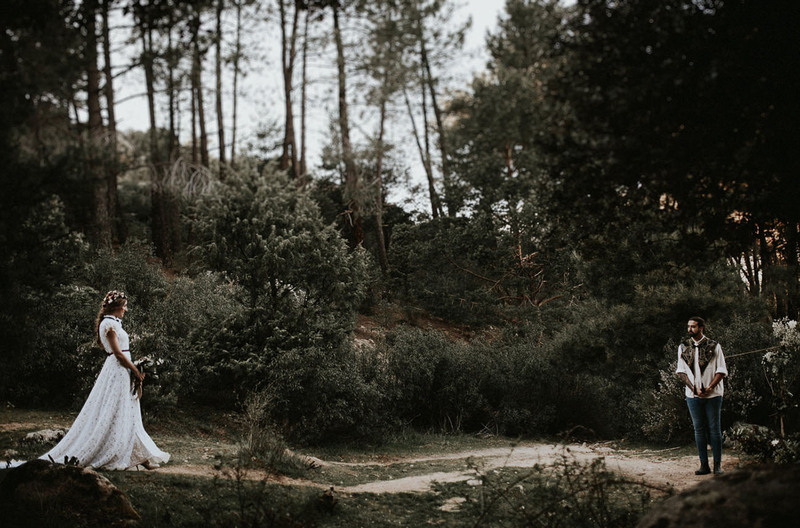 They chose to marry in secret and in the strictest privacy, while promising to love one another eternally, whilst surrounded by nature. 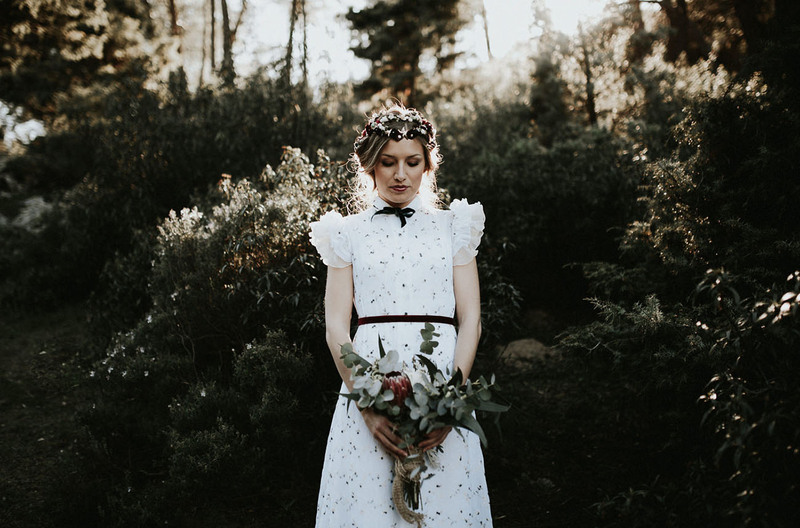 S+G wanted to escape from the traditional, and certainly avoid the large crowds of other weddings. Shall we go for a walk in the woods? 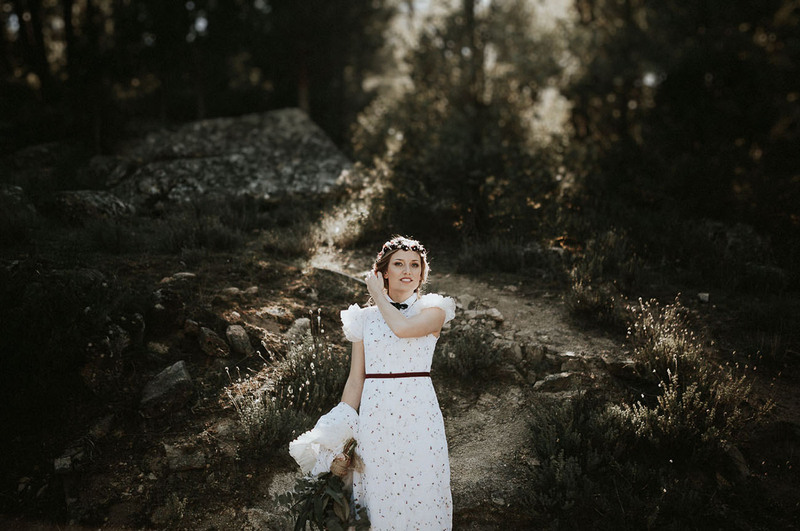 Opting for an opulent headpiece from LaUnike, Meg Art crafted this messy fishtail braid to finish off Sara’s bridal look. As for Sara’s unique dress? It’s from LaUnike, too! 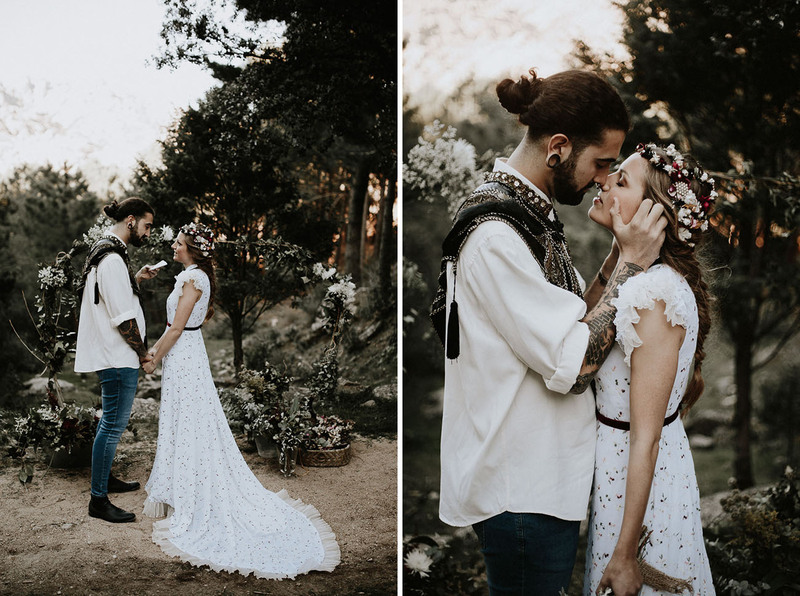 Prisma Blanco shares As photographers responsible for capturing the moments of that day, it is difficult to put into words all the feelings + emotions of that job, we are so thrilled to share these moments with them and be able to capture all the details of their big day. It was incredible. 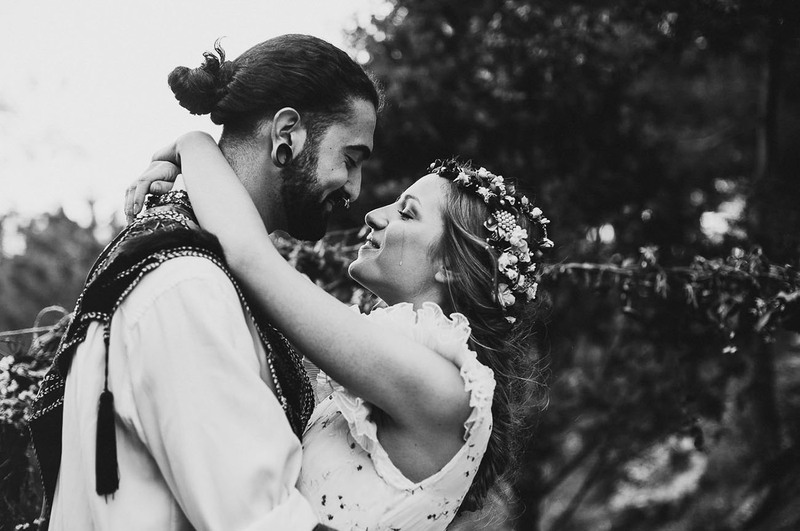 Gonzalo and Sara had married as they wished + we had a great feeling with them and that is reflected in the result. The most memorable moment of the day was when Sara reached Gonzalo, who was waiting for her at the altar. When she stood right in front of him, Gonzalo could hardly hold his breath. 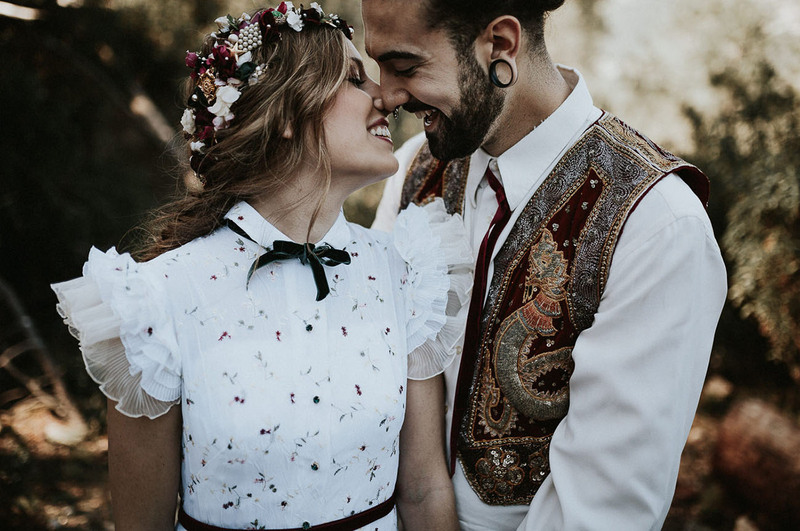 They stared at each other and for a moment, the time stopped, that moment was interrupted by the words that Gonzalo dedicated to Sara that culminated in her tears, there they promised eternal love and a life together. 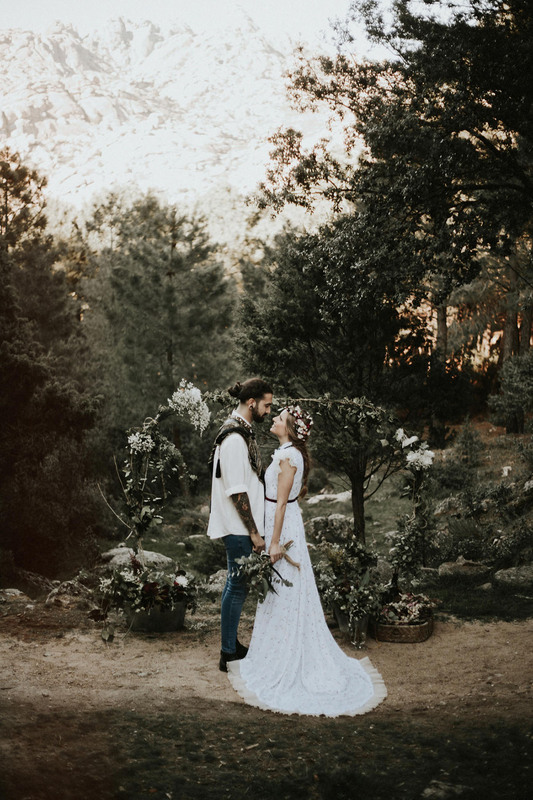 The ceremony space with florals by Olvido y las Flores is so romantic, don’t you think? 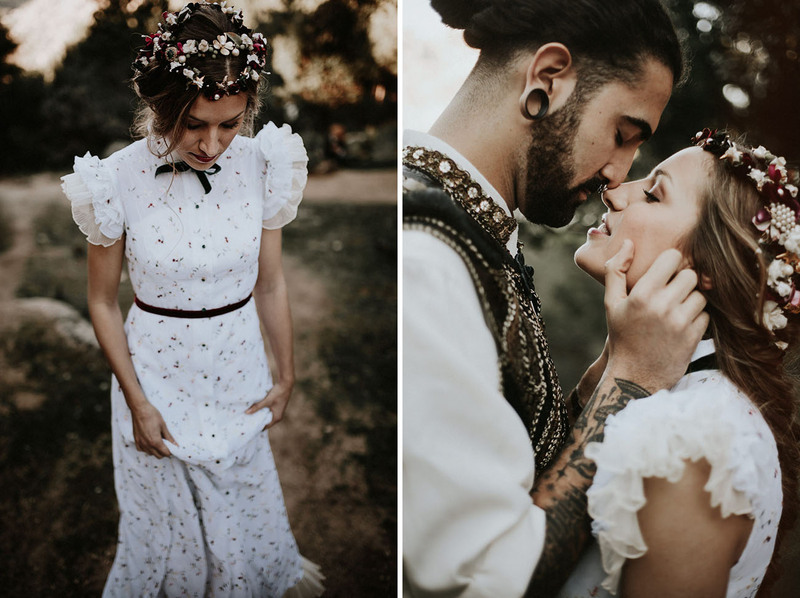 Each couple is free to decide how to celebrate their wedding. 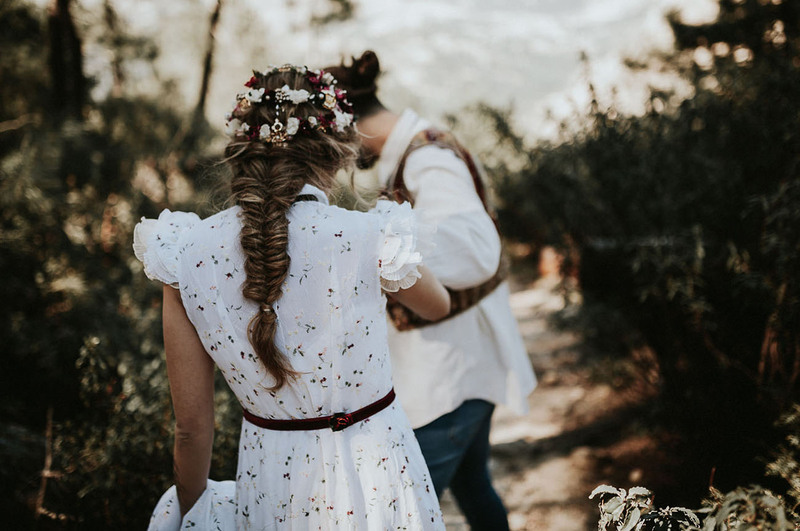 If all you care about is you and your partner, and you want to skip all kinds of protocols, the only thing you want is to spend the rest of your life together, one day dedicated to each other without needing to be aware of anyone else. Your day can be as you want it to be, you just have to let your imagination fly. What a moment!! Bravo to Prisma Blanco for capturing such sweetness! 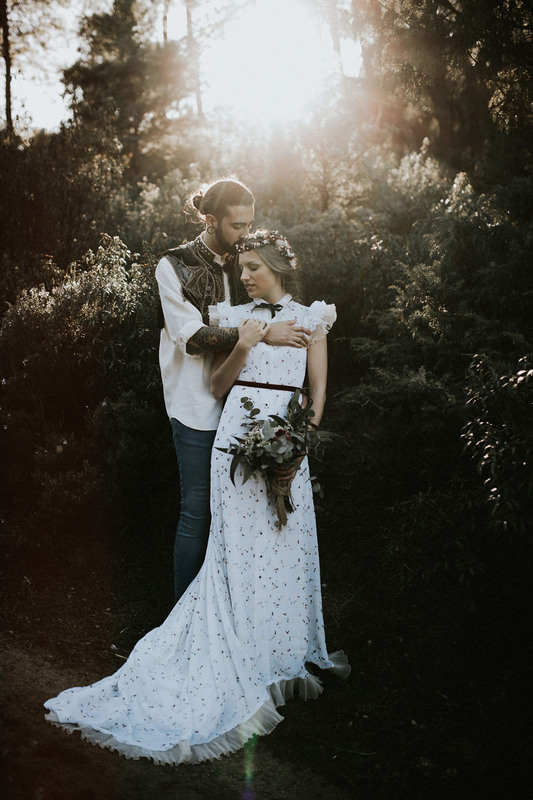 That golden light mixed with the dark tones of the forest, and this couple who is so utterly + completely in love. Pretty darn perfect, right? Beautiful wedding dress. Loved the photos. Love that it’s just the two of you ! So unique and inspiring, truly wonderful style and grace. Stunning wedding. Love the head piece too, fab! Amazing decor! The photos are wonderful!